Flea and tick shampoos for dogs are specially formulated with an insecticide that kills both insects. Some flea and tick shampoos also kill mites and lice, depending on the formulation. Several flea and tick shampoo products are available with different formulations, so read the label. However, even those shampoos that claim to kill mites do not kill all types of mites. Mites are microscopic parasites that burrow into the flesh of dogs. There are four types of mites that affect dogs. Demodex canis mites typically live on a dog, but the dog's immune system ordinarily resists the ability of the mites to multiply. 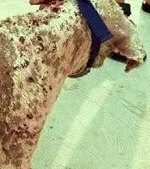 Some dogs either are not born with the resistance to the mite or have a compromised immune system that allows the mites to proliferate, crowding out the hair follicles and causing the hair to fall out. The Sarcoptes scabei mite is contagious. Dogs infected with the Sarcoptes scabei mite will suffer intense itching, body scabs and sores. Ear mites cause itching and yeasty festering in the dog's ears. Ear mites are contagious. Cheyletiella mites cause a flaky dandruff on dogs. Each type of mite responds to different treatments. Demodex mites require a special dip or topical application of amitraz. Flea and tick shampoos containing amitraz will be effective in controlling demodex. Dogs with Sarcoptes scabei mites need medical attention by a veterinarian. Special prescription shampoos help treat the infestation of sarcoptes scabei mites along with oral antibiotics to treat secondary infections. 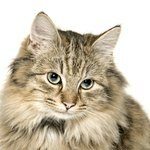 Treatment for ear mites involves treating the ears for infection, yeast overgrowth and killing of the mites. Flea and tick shampoos with pyrethrin may kill mites that run to other parts of the dog's body. Cheyletiella mite can also be treated with flea and tick shampoos containing pyrethrin. However, a veterinarian should always inspect your dog to treat for any bacterial infections resulting from these mites. Pyrethrin refers to any of six chemical compounds derived from chrysanthemum plants for use as an insecticide. It is an active ingredient in many flea and tick shampoos. The chemical is harmless to humans and dogs if used according to the label. However, dogs who have a negative reaction to pyrethrin may salivate, vomit, have tremors or seizure. Speak with your veterinarian if you suspect your dog suffers from a mite infection. The veterinarian can advise you on the appropriate treatment for your pet's condition. Read the instructions and ingredients to ensure you use the shampoo appropriately. Place cotton balls inside your dog's ears to protect from getting wet. Wet the dog thoroughly and lather the shampoo on the fur. Massage the shampoo for a few minutes, then rinse well.